This is the final Smart TV countdown of 2016. 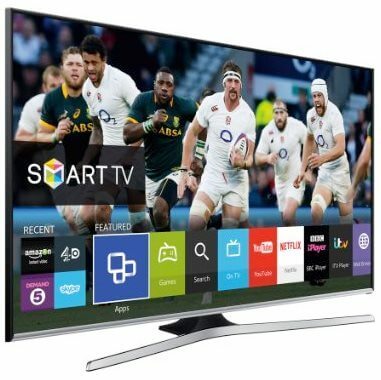 As we step into 2016, let’s see what’s the best that the UK market has to offer in terms of Smart TVs. The Smart TV technology has become wide-spread and because of enormous competition, it’s become cheaper. 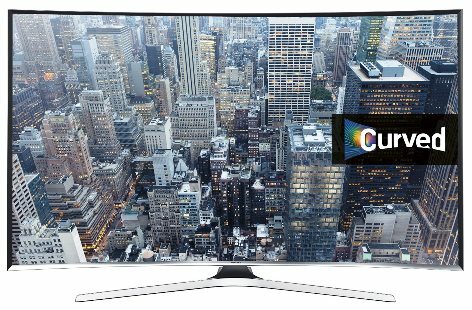 In 2016, we’ll hopefully see a lot more 4K content and possibly newer innovations, better ways to access the TVs and growth of the OLED technology. As we stand today, there’s a smart TV in every range! In this article, we’ve reviewed hundreds of Smart TVs – both 4K and Full HD to come up with our start of 2016 list of best smart TV. They have inbuilt web browsers and majority of them can access applications such as Netflix, Amazon instant video, BBC iPlayer and Hulu. Apart from media streaming, they also offer games and internet protocol television IPTV. IPTV refers to any video that is streamed to your TV through the internet. This can be in the form of continuous live channels or short clips. The features of smart TVs will vary from one model or make to another. Most of them will give access to the popular social media sites such as twitter and Facebook. Some also give the user internet messaging services such as Skype. Some come with superior webcams which give the user the prestige of holding a full screen video calling to friends and family. The most used feature and probably the best according to most users is the ability to stream video on demand. Video on demand services include the free services such as YouTube that allow you to listen and download music audios and videos, to the subscription based ones such as Netflix. Netflix offers subscribers access to a huge array of TV shows and movies available for streaming anytime. 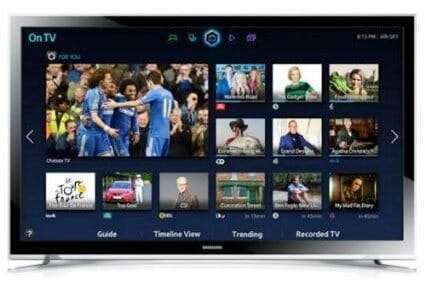 Other online services offered by most smart TVs are the catch-up services such as BBC iPlayer and Channel 4.
amsung and Panasonic have taken this concept a notch higher. The Panasonic appstore offers a wide variety of games to download, as well as the video on demand and social networking services. They also come with other optional apps such as Smartphone applications and game controllers making it easy to play the games. Some also come with an electronic touch pen that allows the user to write directly on the television screen. This can be used to leave messages for people in the house making it look like a pin up board. Others come with BMI scales directly connected to the WiFi thus allowing the user to keep a regular check on their fitness and health. 4k, full HD, ultra HD and UHD all refer to the same category of smart TVs. This smart TV comes with more than 8 million total pixels giving the best picture quality. Display is crisp and crystal clear and the detail is enhanced. This display is four times the number of full HD TV sets. Majority of the big brands such as Panasonic, Samsung, and Sony and LG offer 4k TVs ranging from less than 1000 pounds to thousands of pounds. 4k TVs come in big screen sizes starting from 40 inches. Access favourite content such as video on demand, games and catch up TV with the Samsung smart hub. Fast access to smart features through the quad core processor. Video and sound can be optimized to bring the football stadium effect. This TV manufactured by Samsung comes with a smart full HD. It is 32 inches and reasonably priced due to the basic features it offers. 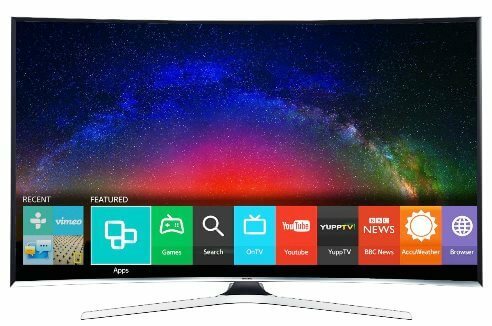 If 32 inches is the right size for you, check out our best 32 inch smart TVs in the UK reviews of 4 TVs. 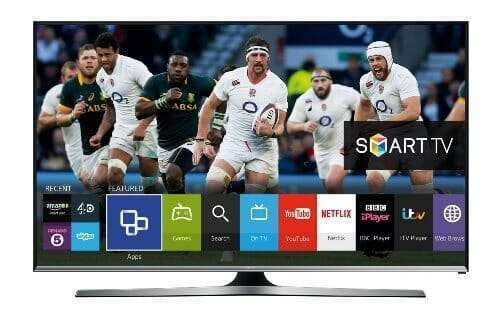 Smart TV with access to video on demand, catch up TV, games and more. Brilliant colours made possible by the wide colour enhancer plus. Picture quality is full HD – 300 PQI. This TV comes with more advanced features than the basic varieties thus the slight increase in price. 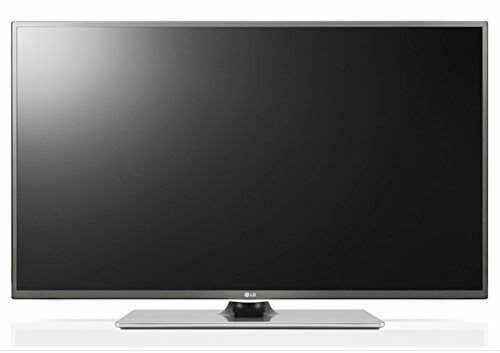 It is a smart 42 inch TV with webOS technology. This is a smart TV with full HD and 48 inch screen for that enhanced viewing experience. Access the best of internet with Amazon and Netflix. Watch mobile content on the big screen. In another article where we reviewed Top 4 Best Smart TVs under £500, the Samsung 48J5500 was beaten to the second place by the Panasonic TX-50CS520B because of it’s impressive screen size. Full HD 800PQI and Samsung auto depth enhancer gives the viewer the best quality in images and videos. Powerful quad core processor with enhanced performance and easy switching between tasks. Smart TV with inbuilt WiFi. Streaming all favourite content from Amazon, Netflix and catch up TV services. Browse the web at ultra high speeds. 48 inch curved wide screen. With 50 inches of viewing experience and running on the webOS platform, the LG smart TV is the best. Provides sports and music, movies, better catch up TV and users can also enjoy cinema 3d movie experience. In affordable price, this smart TV offers more than the price tag. 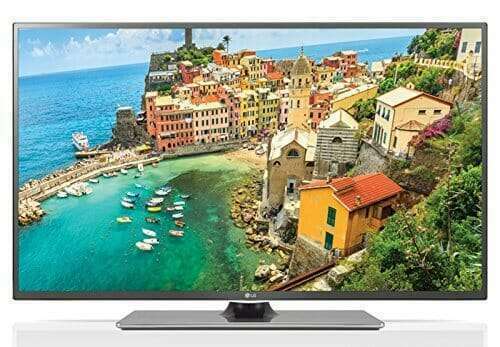 You may want to buy this TV in easy 0% interest rate installments with a buy now pay later TV offer if you haven’t budgeted paying it all at once. 55 inches wide screen smart TV. Enjoy watching this movies now!